If you’re in the market for buying a Dodge Viper, then Auto Trader may just be able to help you out here by listing the cheapest ones available on their website. Although the Dodge Viper production run must come to an end, a new Viper will cost you around $89,000 with an ACR version $100,000. 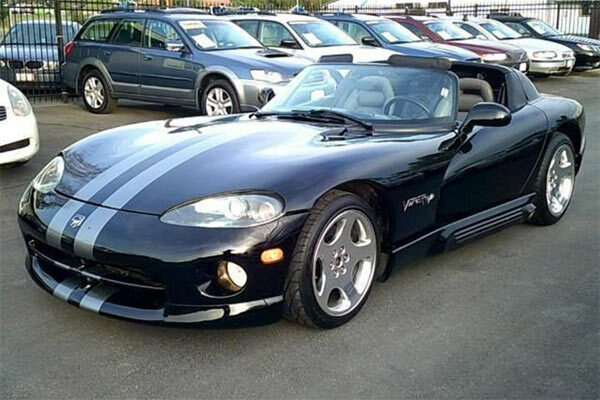 The listing start with a brutally shot to pieces Dodge Viper from $6000. This example 1995 Viper RT/10 is in junkyard condition, but there are at least $6000 worth of parts alone. The most expensive goes up to a 1994 Dodge Viper RT/10 for $24,995 with the conclusion being that 1994 and 1995 Viper RT/10s are the best value. There are only a few examples, but it does show that you can still get this raw driving machine for a reasonable amount of money if you shop around. Check out the full article and examples here.